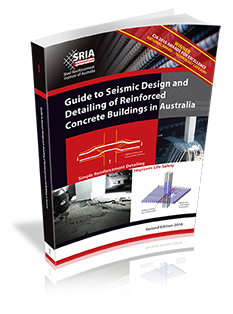 As part of its commitment to the future of Australia’s building industry, the SRIA lectures at universities providing up-to-date design and specification materials free of charge to over 3,000 students every year. The SRIA presents annual Undergraduate Awards for Excellence in Reinforced Concrete Design. This includes a cash prize for the student who gains the highest mark in the subject in which the SRIA lecture is delivered. Offering the SRIA Award for Excellence in Reinforced Concrete Design and a $500 prize to the student who gains the highest mark in the subject in which the SRIA lecture is given. Distribution of various SRIA member design aids.